Oculus is continuing to expand the adoption of virtual reality technology in classrooms, libraries, and museums in an effort to help people learn in exciting new ways. The company has now announced the launch of three new Oculus Education pilot programs that will provide Rift and Go headsets to educational institutions in Seattle, Japan, and Taiwan. The pilot programs will focus on training teachers and other instructors the proper use of virtual reality in education as a valuable tool for learning, as well as help Oculus better understand how educators and students utilize VR in the classroom through feedback and lessons learned along the way that are unique needs of specific institutions. 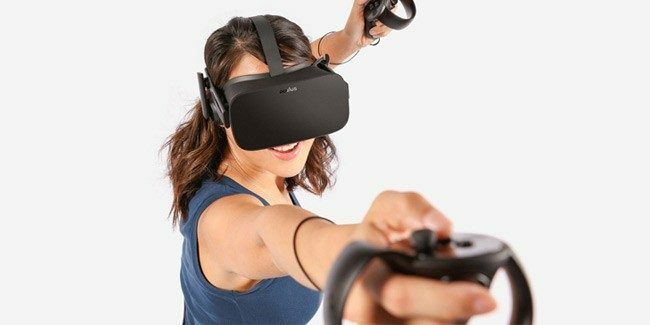 The information gathered will then be used to inform Oculus’ product teams for future plans and consideration. In the past, Oculus has worked the California State Library, including MIT and Harvard to explore and conduct research on the effective impact VR has on learning outcomes. “Each institution will determine how best to use VR in their community and how to build programs around VR,” Oculus said in a statement. In Seattle, for example, Oculus has partnered with the Seattle Public Schools system to develop an educational VR creation course, so that students and teachers can work together on creating immersive virtual reality content for the classroom. Oculus is also working with the city’s Technology Access Foundation (TAF) look into how to best train educators on ways to use VR for teaching. In Japan, meanwhile, Oculus’ pilot program will focus on applying VR to aid with distance learning, connecting students in remote parts of the country to teachers to provide them with more educational opportunities. Finally, in Taiwan, Oculus is working with the Taiwan Internet and E-Commerce Association (TiEA) to put Rift and Go headsets in public libraries and museums across the country. Recipients include the American Innovation Center, Kaohsiung Main Public Library Museum of Contemporary Art in Taipei, National Central Library, National Museum of Natural Science, National Taiwan Museum, National Taiwan Museum of Fine Arts, New Taipei City Library, Social Innovation Lab, Taipei Public Library, and Taroko National Park Headquarters. In addition to the pilot programs, Oculus has also launched three compelling educational experiences—Titanic VR, Breaking Boundaries in Science, Hoover Dam: IndustrialVR, all which are now available for download on the Oculus Store.